Oh man, those of you attending the inaugural Five Points Festival this weekend in New York City are in for a treat! 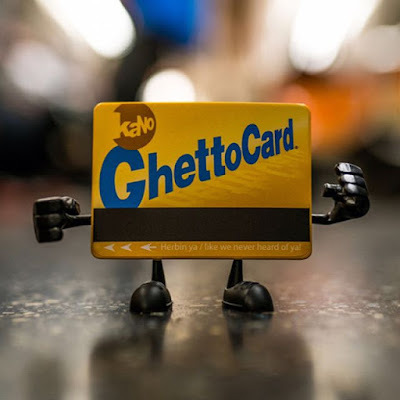 That’s where kaNO will be releasing his awesome new Ghetto Card vinyl figure. This fantastic custom of Squid Kids Ink’s Studs DIY vinyl figure turns the playing card platform on its side and transforms it into the New York Metropolitan Transportation Authority’s iconic Metro Card. You won’t get very far on the subway or a bus with this card, but it will look fantastic on your shelf! 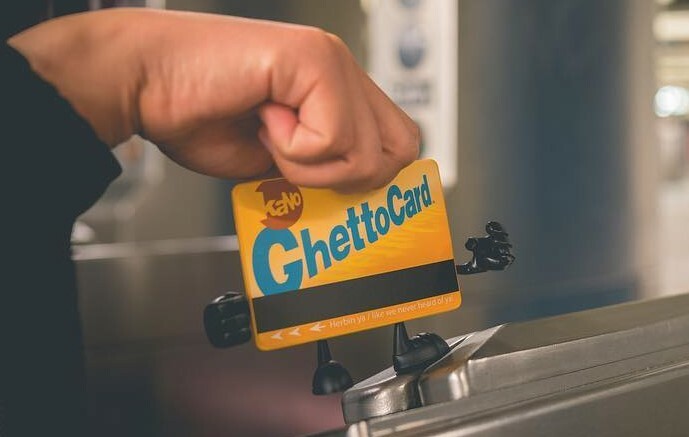 Collectors can purchase the Five Points Festival Exclusive Ghetto Card Vinyl Figure at kaNO’s FPF booth this Saturday and Sunday (May 20-21). For those of us unable to attend the comic con, fear not! kaNO is leaving behind a handful of these figures at his studio for an online release.